At this moment, we are reconsidering the course contents and format. More information will be posted on this website as soon as our plans are more concrete. Credits: 5 ECTS, participants need to apply for credits through their own university. For full credits, the participant will need to do additional homework after the course, and hand in a final report, latest 15 Sept. 2018 (otherwise, only 3 ECTS are awarded). Note that some homework needs to be done before the course (see below under 'Course format'). Level: PhD students, but master students and post-PhD participants are welcome. Location: University of Copenhagen, Frederiksberg Campus. Duration: 8-8.5 days, no teaching in the weekend. Capacity: minimum 10, maximum 30 participants. Course fee: 6000 DKR (approx. 800 EUR) for MSc and PhD students, 12000 DKR (approx. 1600 EUR) for other participants. There is a 500 DKR discount for SETAC members. The fee does not include housing and meals. PC/software: Participants must bring their own laptop (with travel adapter if needed! ), and installed software of their choice (see below under 'Software platforms'). Teachers: Tjalling Jager, Roman Ashauer, Starrlight Augustine and Nina Cedergreen. Registration: Logistics are handled by the University of Copenhagen. If you like to register, or have questions about the practical issues (registration, payment, etc. ), please contact Nina Cedergreen (ncf(at)plen.ku.dk). Mathematical modelling is a powerful tool to interpret the results of laboratory toxicity tests and to make educated extrapolations. The process of mechanistically modelling of toxicity can be divided into two steps: toxicokinetics (TK) and toxicodynamics (TD). TK deals with the uptake, biotransformation and distribution of a chemical into the body of an organism, whereas TD deals with the next steps, from internal concentration of the active compound to effects on the organism over time. This course will teach the basics of TK and TD modelling, how they can be linked, and how to analyse and interpret toxicity data on a mechanistic basis. For TK modelling, we will focus on 1- and 2-compartment models. TD modelling will be based on a simple Dynamic Energy Budget model (DEBkiss), although we also treat survival modelling with GUTS. The course will consist of a combination of lectures, computer exercises, 'pet projects', and discussions, with an emphasis on hands-on modelling. In the computer exercises, you will learn to build and use basic TKTD models yourself in Matlab or OpenModel, guided by a step-by-step series of general exercises. In your pet project you have a lot of freedom; you can focus on your species and stressor of interest, and feel free to work on your own data, alone or in collaboration with fellow participants. 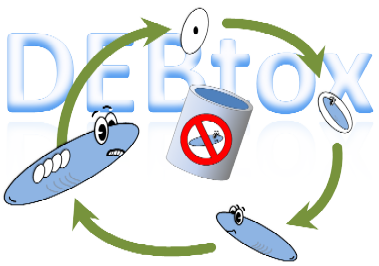 Also, feel to use either DEBkiss, DEBtox, GUTS or TK models (or a little bit of all of them). Note that we focus in this course on applications in ecotoxicology (mainly invertebrates and fish). Even though the same modelling principles are used in modelling toxicity for other organisms, we will not explicitly deal with them. However, in your 'pet project', you are free to tackle a different species, if you are in for a challenge. 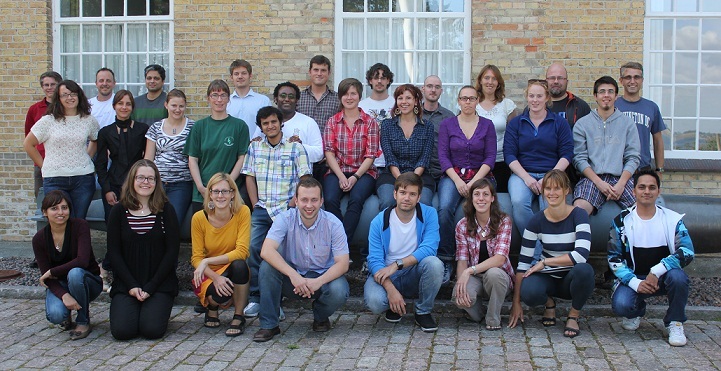 In 2012, the first summer course "Dynamic modelling of toxic effects" was held from 11-18th of August in the Søminestationen, Holbæk, Denmark with 25 participants. The course focussed on TKTD modelling in general, and on GUTS and DEBtox in particular. Overall, the course was a success, but some changes were needed because we tried to put too much into the course (too much time was used in coding and dealing with error messages). Impressions from the 2012 course. Learning from this experience, we decided to focus on basic TK and sub-lethal effects modelling. Furthermore, we decided to offer two platforms (OpenModel next to Matlab), and provide templates and worked out examples for the exercises to facilitate the coding. In this way, the course would be useful both for the novice and the experienced coder. 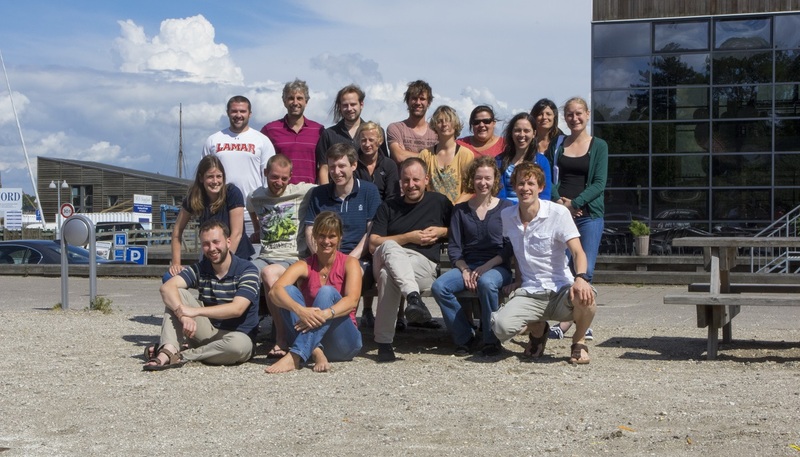 In 2014, we offered this summer course again (5-13 August) with 15 participants. Not in the same location but in the hostel Vandrerhjem in Roskilde, Denmark. This time, we focussed on (basic) toxicokinetics and sub-lethal effects using DEB theory (in the form of the simplified DEBkiss model). Thereby, we skipped most of GUTS. The use of OpenModel next to Matlab, and the templates for the exercises was a great success in our opinion, so we will keep this for future courses. Impressions from the 2014 course. In 2016, the third round of the course was held, again at the Søminestationen, Holbæk (9-16 August). We had a full house with 27 participants. The course basically followed the same format as in 2014, but with more freedom in the group projects (for example, some groups focussed on GUTS, and one on rats and one on duckweed). This turned out very well, so we'll build on this for the next course (2018). Impressions from the 2016 course. Before coming to Denmark, we ask you to do some homework (reading, exercises, collecting data, getting acquainted with the software) so that we can immediately start the 'classroom' part of the course with TKTD modelling. A discussion board will be used for your questions and comments before and after the classroom-part of the course. 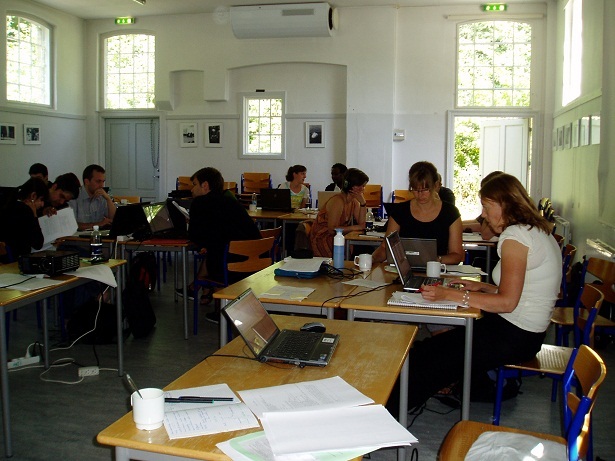 During the course in Denmark, you will receive introductory lectures from experts on these topics, but the focus will be on hands-on modelling. We provide a series of pre-cooked exercises to guide you through the modelling work, starting simple but ending with rather advanced analyses. Furthermore, part of the course time will be devote to 'pet projects', were you decide the topic, and there is much more flexibility (and the outcome far less certain). As much as possible, we will ask you to do these projects in a small group with other participants sharing your interests. For these pet projects, there is always the possibility to work on your own data sets, although the teachers might not be able to provide assistance with every specific issue of your data set. After the course, those that want/need the full credits for this course are asked to perform a model analysis at home and hand in a report. This additional analysis and report can be about your pet project or can entail an analysis of a more complex data set (real or simulated). In conjuction with the teachers, you need to make a proposal on what you would like to do for the report. The 2012 course was totally built around Matlab. Though this is a very powerful platform, learning to work with it is tough on first-time users. Therefore, we decided to give the participants the choice between Matlab or using a more dedicated modelling tool with a simpler user interface (i.e., OpenModel). OpenModel is easy to learn, but is not as stable and flexible as Matlab. Especially when the models and their analyses become more complex, Matlab is the superior platform. So take these considerations into account when choosing a platofrm for the course. We tried to make the process of using Matlab as painless as possible by working with BYOM and providing templates that take away most of the coding complexities. We will look into additional platforms for the 2018 course. If you are fluent in another software platform, such as R or Python, you are welcome to code all exercises yourself, but there will be no templates, and the teachers will probably not be able to provide much support with coding issues. Participants that want to work with Matlab need a licence. If your institute does not have access to Matlab, you can try to work with the 30-day trial version, or buy the student version (if you qualify as a student according to Matlab) for just 35 Euro from the Mathworks. You need to get acquinted with the software of your choice in the preparation phase (in 'tele-course mode' before the 'classroom mode' in Denmark). Make sure you are able to dedicate time for this before coming to Denmark! This is not a math or stats course, but it will make use of mathematics and statistics. More specifically, (systems of) ordinary differential equations and basic likelihood functions. The 'refresher' under the course materials below should give you an idea what to expect. This is the level of math that we will deal with in the course to teach you how to build, run, analyse and interpret TKTD models. In any case, we assume that you have a basic working knowledge of mathematical functions, powers and logarithms, derivatives and integration, and basic statistical distributions such as the binomial and the normal. This course deals with many aspects associated with TKTD modelling: biology, (eco)toxicology, mathematics, statistics, coding, numerical methods, etc. If you are a novice in one or more of these fields, you will not be a full-fledged TKTD modeller after this course. Furthermore, it is unlikely that you will leave this course with a finalised model for your pet species and your data sets. However, you will leave this course with a good overview of the TKTD modelling field, hands-on experience, and improved skills on all the disciplines listed above, preparing you for more specialist courses on these topics (such as coding or math courses, or the DEB course). To get the most out of this course as possible, make sure to dedicate sufficient time in the preparation phase! The course exercises and group projects can be made at different levels of complexity, making this course useful for both novice and more advanced modellers. Especially for the group projects, we offer a lot of flexibility for you to dive into the area that interests you most. If you select a 'difficult species' or 'difficult question' for your pet project (the teachers will point that out to you in the preparation phase), limit your expectations on what to get out of your project. Not all species can be modelled at the same basic level with the same degree of success. However, working with a simple model will give you a better appreciation of the modelling issues that need to be addressed for your pet. Course participants will get detailed information on what is expected from them, and where to find what. Some of these material will be of broader interest and they are linked below. Getting started with Matlab: the tutorial from Udemy is a good place to start. Further, the Matlab tutorial from the Mathworks, or the book "Essential MATLAB for Engineers and Scientists" (if you can find/lend/buy it). Refresher on differential equations and likelihood functions: refresher.pdf. This document should give you a good idea of the level of the math that we expect from you. We will not go beyond this level of math in this course (unless you specifically ask for it). Exercises in Matlab/OpenModel. Some basic exercises have to be made before coming to Denmark, and in Denmark you will get a new series of exercises that is intended to build up a DEBkiss TKTD model step by step. Parts of the e-book will be used in the preparation phase. A discussion board will be set up for the course for discussions and asking questions. The course is coordinated by Nina Cedergreen. Course contents and lectures will be the responsibility of Roman Ashauer, Starrlight Augustine, Nina Cedergreen and Tjalling Jager. Guest lectures may be provided by other experts.